The Leeds movement to shift the well-established biomedical model of practitioners being “expert and the fixer” and the patient as being “novice and passive” to one of parity begun in 2014 when the Yorkshire and Humber Leadership Academy brought the idea of health coaching to a small group of health and local authority workers in Leeds. This group believed that a shifts in mind-set and different practitioner-patient conversations would lead to different experiences and outcomes for patients and they made allies to bring about change despite the multiple challenges they faced. 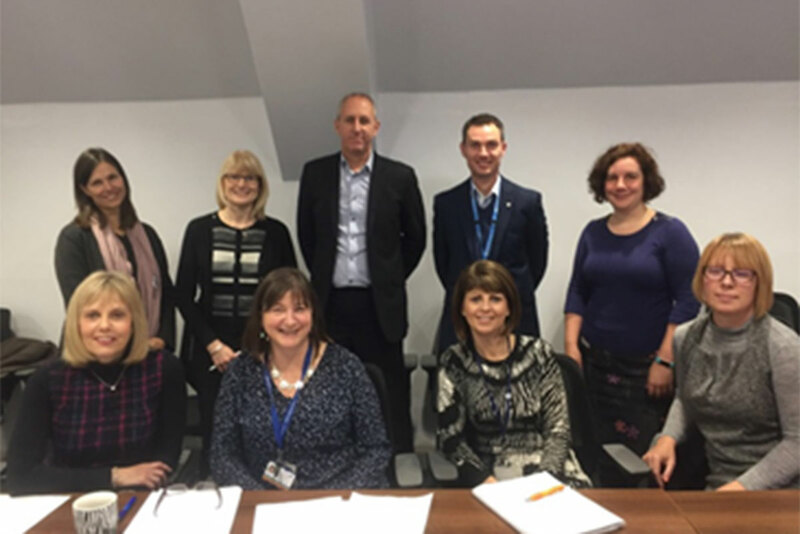 Committed to innovation, the group now consists of members from health and care organisations including OD leads, clinical leads and a public health consultant and funding was found to create a dedicated health coaching lead role as further catalyst. The group has since grown a culture that embodies coaching values and behaviours across the health and care system through developing strong relationships with CCG’s, local authority, public health and provider organisations and a shared vision. In 2014 Yorkshire and Humber Leadership Academy funded a train the trainer programme and trained 15 local clinicians. Since late 2014, Leeds has trained over 400 staff in health coaching and introduced the idea to a wide range of health and care staff including nurses, doctors and allied health staff working across organisations and sectors. These staff are using the health coaching skills with children, adults and families accessing health and care services in Leeds. Evaluation focusing on staff having different conversations with service users in Leeds is under way and due for completion in late 2017. In 2016 Leeds was invited to participate in the “better conversation” workshops and to contribute to the launch event in Liverpool which catalysed further action. The focus in 2017 has been to adopt the “better conversation” brand creating (@betterconvolds) and ambitiously embedding health coaching using a place based approach, focusing effort and resources around three geographical areas and engaging with over 100 staff from different sectors, organisations and disciplines across Leeds through multiple 2 hour taster sessions. Further training has been funded for staff working in the targeted localities to embed “better conversation” so service users experience is the same approach wherever they go for care. Health coaching and “better conversation” forms part of the ‘working with’ approach which is a golden thread across the ‘Leeds plan’, part of West Yorkshire STP and Leeds Health and Wellbeing Strategy. In March 2017 two further engagement events took place to work with non-patient facing staff to move health coaching further forward. These events were a huge success, enhancing the appetite for health coaching in the large Leeds teaching hospital trust and the cities key higher education establishments, with potential to influence curricula. These events were supported by the implementation toolkit and resources available on the www.betterconversation.co.uk. Jonathan Lace, health coaching lead for Leeds at a recent engagement session. Like all changes to culture and movements, health coaching in Leeds begun with a committed group of people who stepped forward to ask and think how the future may be different and despite many challenges are now seeing a shift across the city.